Monkey Slot Machine Mania by Sebastian Haba is a FREE slot machine like real Las Vegas casino slot games! Check up the good luck with the Monkey Slot Machine Mania Free. Old slot machines in the new format! Most popular classic slot machines on your phone or tablet absolutely free! Even if you've never played these games, you only try once you get into this atmosphere of these games. 5 Reels, 9 lines, the possibility of doubling (Double), fair play! These free slot machine are like real Las Vegas casino slot games! BUT THIS GAME IS ABSOLUTELY FREE. NO REAL WORLD MONEY IS INVOLVED. 100 credits every day, 10 credits extra every time whenever you lost all you credits! Optimized for both Android tablets and phones! 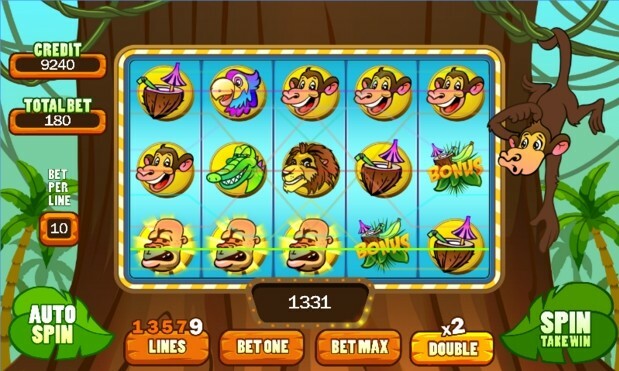 Monkey Slot Machine Mania is just like any other arcade casino slot machine. It is relaxing to play at your spare time at your own pace. 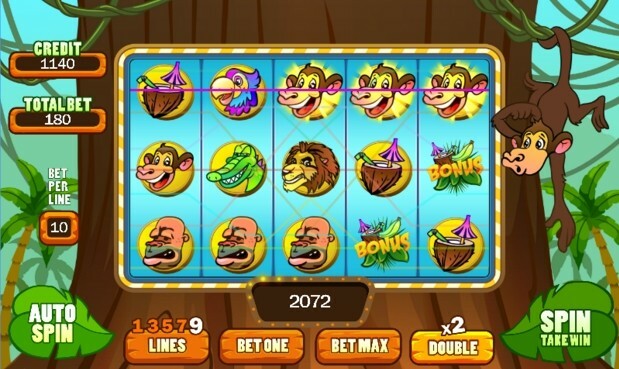 Monkey Slot Machine Mania adopts a modern system with 9 payout lines (unlike the oldie slot machine which has only 3 payout lines at the maximum). Despite the payout lines, I find that the odds of having 4 or 5 of a kind is rather difficult in this game. I find myself losing my money quite fast with maximum payout lines. However, I was lucky enough to pull a triple bonus icon. When this happens, you will be directed into a new screen where you have to choose which tree vines to pull. I got lucky and got 500 coins. The browser version of this game,sadly, does not have any SFX. However, it is confirmed that the app version will have SFX to enhance your casino experience. One more thing that I am missing out is the winning payout table. 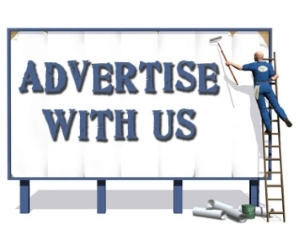 I would definitely would like to know each payout pay potential. 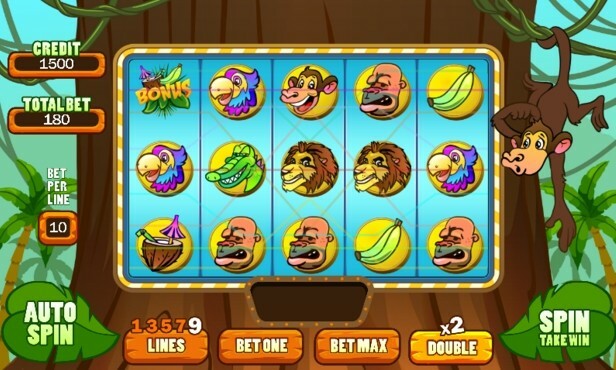 Overall, Monkey Slot Machine Mania should have a payout table to inform players their potential winning. On the other hand, the game itself plays as advertised, plays like any other slot machine. The best thing about this game is that it is totally free!